Leanne Muhamad, a student at Wanstead High School who is British-Palestinian, won the “Speak out” challenge after giving this impressive performance to enthusiastic applause. But one day later, the Speakers Trust decided Leanne will no longer be sent through to the grand final of the public speaking competition. It seems that giving a personal account of the Nakba and a plea for end to discrimination against Palestinians is not acceptable in the UK in 2016. Once Leane’s win was retracted, the video was removed from the Speak Out Challenge website and Youtube channel, but we managed to retrieve the copy below. 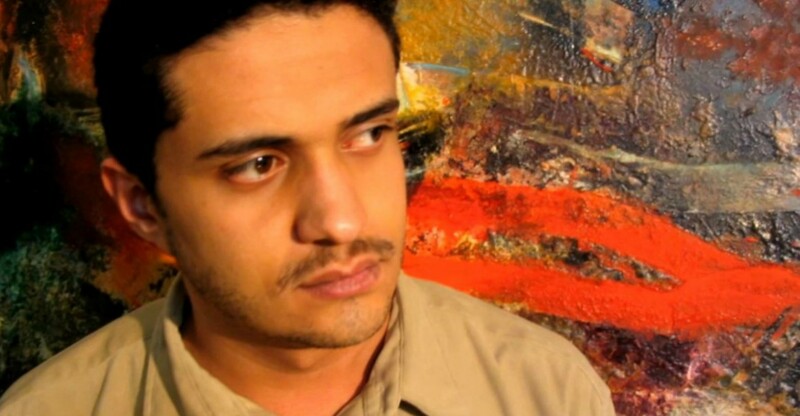 Palestinian artist, curator and poet Ashraf Fayadh is serving an eight year term in a Saudi jail, sentenced to receive 800 lashes for alleged apostasy. Here a member of the Artists for Palestine UK collective reviews the significance of this alarming case. In its determination to assist Israel in silencing criticism, the British government betrays the values of freedom and tolerance that it claims to see as fundamental. This article, written by a member of the Artists for Palestine UK collective, charts the resulting pattern of attacks on the rights of Israel’s critics in Britain, from local councils to academics and arts organisations. 2016 began with ringing declarations about British liberty. David Cameron’s New Year message to the nation contrasted the freedom and tolerance of ‘our way of life’ with the ‘poisonous narrative of grievance and resentment’ laid out by ‘murderous extremists’, seething with hatred for the west. These are claims that have come to sound more hollow with every month that passes. Domestically, the Prevent strategy operationalises the defence of ‘freedom’ with an apparatus of reporting and repression which extends across schools, universities and the NHS – some NHS trusts have made it mandatory for staff to attend Prevent workshops. In its foreign policy, Cameron’s government holds firmly to alliances with states which are deeply committed to the oppression of the populations they rule over: Turkey, Saudi Arabia, Israel, to name only the most prominent. Turkey, a NATO member, uses airstrikes against its Kurdish population without reaction from the defenders of freedom. Saudi Arabia kills its opponents, and is met only with an expression of ‘disappointment’ from a British junior minister. 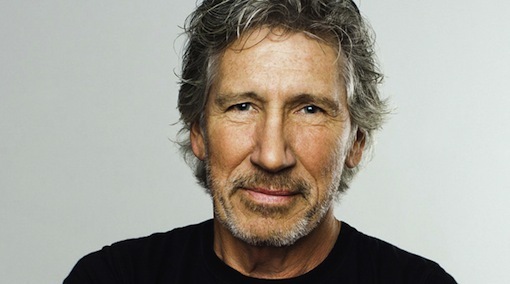 Musician Roger Waters speaks out against the criminalisation in France of non-violent boycott in defence of Palestinian rights. We reproduce his letter, picked up from a French news agency by the website Mondoweiss. Along with most thinking, feeling and compassionate members of global civil society, I deplore the occupation of Palestine and the subjugation of all of its non-Jewish peoples. The State of Israel’s anti-Palestinian discrimination since 1947/8 is unacceptable. I am anti-racist, anti-colonialist, anti-war, anti-oppression, and anti- discrimination. A petition signed by 2,000 Israeli artists has exposed the censorious instincts of the Israeli state, epitomised by its new Culture Minister Miri Regev. A war of words between Israel’s new Culture Minister Miri Regev and a group of leading Israeli artists continued yesterday over budgetary allocations and allegations of censorship. Regev, who was appointed to the culture and sport portfolio in Israel’s new government, is considered a vocal firebrand leader in the right-wing of the Likud Party. Earlier this month, she warned that she would review funding of cultural initiatives and would not necessarily support those which she believes delegitimize the State of Israel. The only Palestinian theatre company in Israel, Al-Midan, had its funding frozen this week because ministers disapproved of its latest play. As theatre practitioners in Britain, we are alarmed that the Daily Mail is attacking the Arts Council and the British Council for supporting a UK tour by a Palestinian theatre company. Your piece, with its inflammatory title UK taxpayers fund ‘pro-terrorist’ play, cites “concerns” from the Board of Deputies of British Jews, an organisation with a shocking record of acting to suppress both cultural and academic events which explore the bitter reality of Palestinian existence. Only last month the University of Southampton succumbed to demonisation and threats and banned an academic conference on the legal status of Israel. Neither the Daily Mail nor the Board of Deputies has seen Freedom Theatre’s play The Siege, yet both somehow feel qualified to suggest that it is “promoting terrorism”. 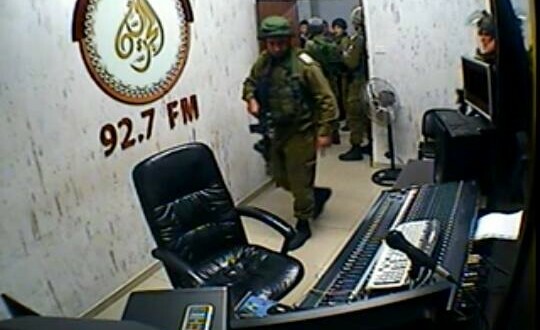 Not for the first time, Palestinian voices are in danger of being drowned out by a vociferous pro-Israel lobby that smears all Palestinians as terrorists and antisemites. This lobby wants us to believe that theatre-goers in the UK cannot be trusted to hear these voices and make their own judgements. This piece by Asa Winstanley, originally published on Electronic Intifada, explains how Southampton University came to cancel an academic conference about Israel’s legal status following a campaign of vilification by pro-Israel lobbyists, including members of the Conservative-led UK government. Letters from playwright Caryl Churchill and academics Hilary and Steven Rose contested the cancellation in the Guardian newspaper. The High Court in London on Tuesday upheld the decision of the University of Southampton to cancel at the last minute an academic conference related to Israel, after speakers were deemed “controversial” by critics. Israel lobby organizations (including the Zionist Federation and the Board of Deputies of British Jews) had called for the conference to be canceled because critics of Israel like Ilan Pappe and Nur Masalha were due to present papers. But those opposed to the conference (including Conservative former education minister Michael Gove and current communities minister Eric Pickles) ignored the fact that supporters of Israel were also due to speak at the conference. These included Alan Johnson of the Britain Israel Communications and Research Centre and the ultra-right-wing Zionist historian Geoffrey Alderman. Alderman last week used his regular platform in The Jewish Chronicle to argue that the Israel lobby had made a “massive own-goal” in getting the conference canceled since it would just make the pro-Israel argument look weak and unable to withstand scrutiny. The conference, “International Law and the State of Israel: Legitimacy, Responsibility and Exceptionalism,” scheduled for this weekend (17-19 April), had been more than a year in the planning. Sajid Javid’s comments on Israeli sponsorship ‘breached the principle of an arms-length relationship between the government and the arts’, writes Caryl Churchill – UK playwright, and Artists’ Pledge signatory. • In late March we had culture secretary Sajid Javid’s astonishing statement in a speech to the Board of Deputies of British Jews (reported in Jewish News) that any arts organisations refusing Israeli sponsorship will risk losing funding, breaching the long-established principle of an arms-length relationship between government and the arts. The Arts Council is supposed to be a buffer between them precisely to avoid political censorship and bullying. Now we have news (1 April) of the cancellation of the University of Southampton’s conference on international law and the state of Israel after protests from the Board of Deputies of British Jews and the Zionist Federation UK. All Charlie Hebdo? Except when freedom of expression means freedom to criticise Israel. • We note with regret that the University of Southampton has shamefully capitulated to pressure from the pro-Israel lobby and cancelled an international academic conference. The university claims to have acted on police advice that they cannot guarantee security against threatened demonstrations. Where was the threat to public order? How could a conference, predominantly of lawyers discussing complex legal issues concerning the legal status of Israel and its boundaries, be a threat? Or are we to conclude that pro-Israeli demonstrators are such violent opponents of academic freedom that the police cannot contain them? As can be seen on our page, Resisting Bullying and Censorship, artists and arts organisations in the UK have been subjected to all forms of pressure and threats in an attempt to get them to conform to a pro-Israel agenda – the result frequently being censorship of important cultural works. Below is a flavour of the tone of attack experienced by artists; perhaps in this particular case the author does not have the influence he boasts of, and is simply peddling antisemitic tropes. We hope so. Risible though the email we received may appear, similar threats from well-placed individuals and groups are a matter of serious concern to independent arts organisations, as we saw in the case of the Tricycle Theatre. I am a contemporary Art collector and when I was [he means ‘saw’] what 100 [it is now 1000] irresponsible artist where doing and boycotting Israel with NO UNDERSTANDING of what is going on in either Palestine or Israel it saddened me greatly. I have decided to boycott purchasing any of the listed Artists and I will use all my influence to stop anyone purchasing works by these artists.